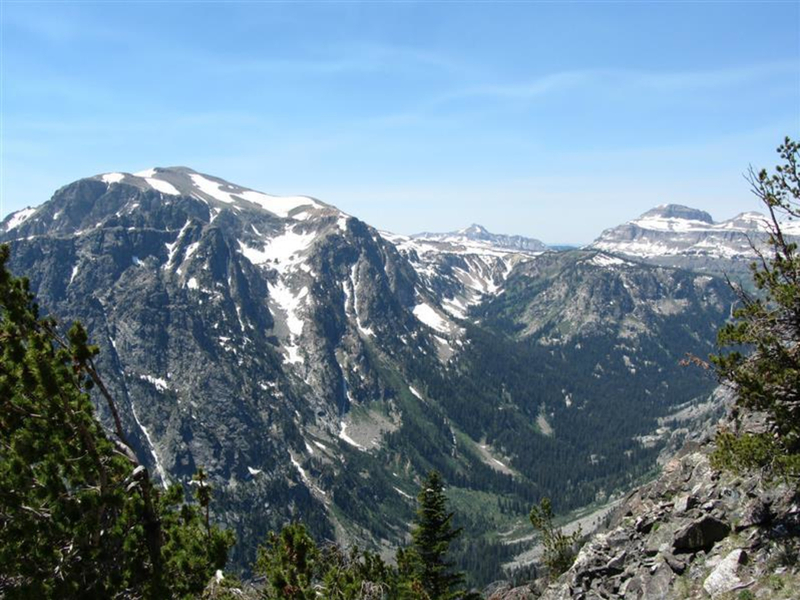 A GTNP hike that affords vistas of Phelps Lake before dropping into a steeply-walled, wildflower-rich canyon. Death Canyon isn’t nearly—or even remotely—as intimidating as its name implies. 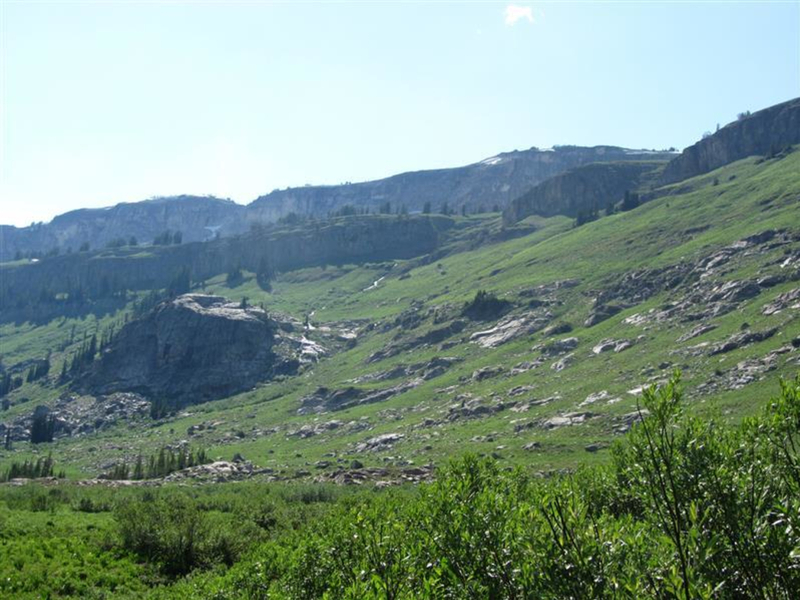 It’s actually one of the mellower canyon hikes in Grand Teton National Park. No one is certain exactly whose death it was that gave this canyon its name. All that is known is that a member of the 1876 Hayden Expedition, a group sent out by the federal government to see what all was in this area, went into the canyon and was never seen again. Some of the park's most famous and difficult pure rock climbs—Caveat Emptor (5.10a), The Snaz (5.10a)—are in Death Canyon. Teton Classics, 50 Selected Climbs in GTNP by Richard Rossiter is a good guide to these and other Teton climbs. There are backcountry campsites on Phelps Lake and towards the back of the Death Canyon, after the trail to Static Peak splits off. Hiking: If you’re looking for an easy hike on a well-traveled trail through a peaceful pine forest, the Phelps Lake Overlook is a mere 1.2 miles from the trailhead. It climbs less than 200 feet. Feeling a bit more motivated? Walk to the overlook and then drop down the 600 feet and .8 mile to Phelps Lake itself. This will deposit you at the mouth of Death Canyon. At the junction at the bottom, you can take a left to hit the lakeshore, or go right and into Death Canyon. If you’ve still got energy left—remembering you’ll have to hike/run those 600 feet back up to the overlook—go ahead and head into Death Canyon. In the past three years, I think I’ve seen a moose in the canyon each time I’ve hiked up it. I’ve hiked up it well over three dozen times in that time period. The trail up Death Canyon is not super steep and is wonderfully maintained. If you’re planning on turning around, there’s no obvious point to do that. About 3 miles up the trail from the junction with Phelps Lake, the canyon opens up and flattens out. There are some lovely spots to sit on the banks of the creek there. That’s as good a turn around spot as any. The trail to Static Peak breaks off to the north (right) about ½-mile beyond this point. If you turn around here, you’ll have done about 8-10 miles r/t from your car. 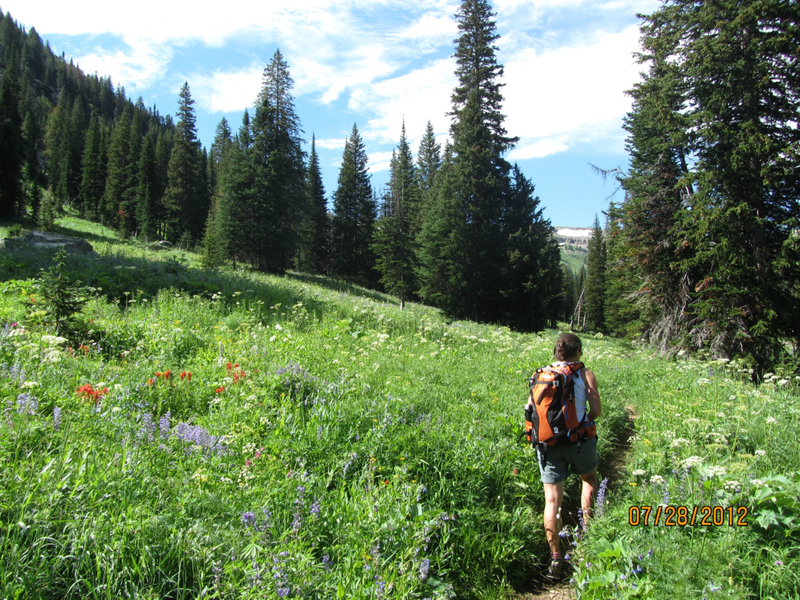 If you continue up Death Canyon itself, it continues to open up and you’ll hit a camping zone and also some of the park’s most bountiful wildflowers. Fox Creek Pass is at the very back of the canyon. Some of the best climbs in the park are located in Death Canyon, and the hiking ranges from fairly easy to pretty difficult. 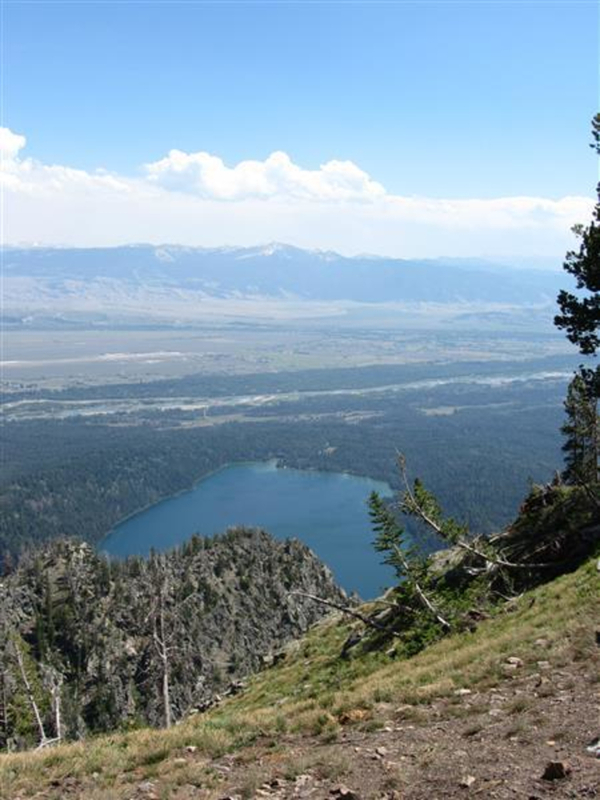 From the Death Canyon trailhead off the Moose-Wilson Rd., you can access Phelps Lake, Death Canyon itself, Static Peak, and, via Fox Creek Pass, the Teton Crest Trail. About one mile before the actual trailhead, the road goes from bad pavement to really bad dirt. If you're at all in doubt about the state of your car's suspension or its capability of clearing bumper-eating, soccer-ball-sized rocks, it is best to park in the small lot here and walk the rest of the way—one-mile—to the trailhead. Come winter, the Death Canyon trailhead is where the Moose-Wilson Road is closed to cars at its northern end. It remains a popular trailhead with backcountry skiers though. Skiers start here to summit -- and ski down -- Wimpy's and Maverick. Sometimes, ice climbs form in Death Canyon.